Ten years ago I wrote a book about a ten-year-old girl who killed her friend. LOOKING FOR JJ focused on Jennifer Jones who had spent six years in an institution for this crime. She was released when she was seventeen and because of the notoriety of her offence she was given a new identity. That book was about those months of freedom. Jennifer Jones had a job, a boyfriend and a place at university to look forward to. She lived with Rosie, a woman who cared about her. She had everything going for her, it seemed. Until someone found out what her real name was. Then her life came crashing down. After writing the book I often wondered (and was asked many times) what happened to Jennifer Jones. I thought about this question from time to time and in my normal pessimistic way I pictured her life on a downward spiral. I couldn’t see things ever getting any better for her. I couldn’t see her coming to terms with what she did when she was ten years old. A couple of years ago I began to really think about what had happened to her. 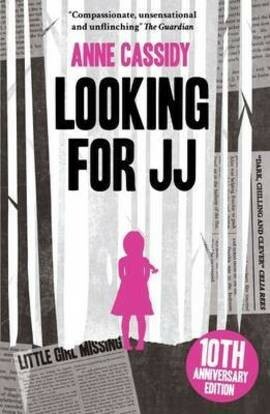 At the end of LOOKING FOR JJ her name was Kate Rickman and she was just starting her degree at Exeter University. I decided to revisit her story two years later. Then I found her a much changed person from the girl at the end of the first book. The experiences she had then and the life she has to live while at university have made her cynical and slightly bitter. Her relationship with those in authority has changed. She lives in Exmouth in a shared house. She is not happy. She rankles under the restrictions of her freedom. She has lost direction and impetus. The one thing she wants to do is to contact the third girl who was there on that fateful day when she killed her friend. She is not allowed to do it but she does it anyway. She has a summer job in the Tourist Information Office. One day a child goes missing presumed drowned. This child is later found murdered. This brings back sharp memories for Kate. 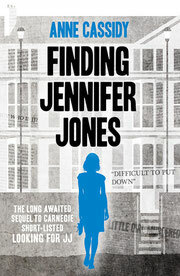 In FINDING JENNIFER JONES Kate makes a fresh start and tries hard to put her past behind her. There are people around, though, who will never let her do that. LOOKING FOR JJ is published by Scholastic; FINDING JENNIFER JONES is published by Hot Key Books.